How do you know that your mindfile will not be deleted, either on purpose or by accident? What would you do if your mindfile is stored in memory and not allowed to run? How would you know that you are not being run? Is not running the equivalent of being dead? How will you know that you are getting the processing power and bandwidth in your contract when reality is simulated and hardware test results could be simulated too? There are at least two levels of challenges to address, akin to current physical world needs, first, survival needs and second, needs and rights when interacting with others. There will need to be ways to assure basic ‘human’ rights in a potential era of uploading brains to digital software files. There could be many misuses of massive databanks of mindfiles: they could be deleted at will (digital genocide) or by mistake by careless ISPs/data center managers, sold, kidnapped, copied, bred, hiveminded or discriminated against via less bandwidth and processing power. If the reality experienced by mindfiles is simulated, how would anyone know that the virtual reality they experience is the one they want to experience? A code or key could be created so that individual mindfiles could not be copied without the owners permission, agreement or knowing; perhaps like the telomere-shortening system used by biological cells. Pervasive externally run audit software could maintain lists of mindfile citizens (a future role for the nation-state) and periodically query each mindfile to determine its status and whether it is running. As usual, the white hats would need to stay ahead of the black hats. With less transparency and social pressure, it is possible that the behavioral smoothing that has arisen in contemporary society would dissolve. Codes of conduct for mindfiles could be developed, probably with a much heightened awareness and refinement of the respectful treatment of consciousnesses. If virtuality is 100% sousveilled, this should not be a problem. In addition, mechanisms such as barriers, permissioning tiers and firewalled gardens could arise to prevent stronger minds from terrorizing and controlling weaker minds or different minds. The real goal would be to rearchitect social pressure in ways that are continually empowering to all individuals. Some mindfiles may prefer heavily controlled virtual environments, others may wish to venture onto the interstitial wildnets. With one key life sciences focus shifting to health as opposed to healthcare (as HealthCamp founder Mark Scrimshire exhorts) and to preventive, predictive health management as opposed to therapy and treatment, there should be the concept of a health literacy toolkit that would be a component of standardized knowledge, such as how to write, drive or get a job. Surprising but emblematic of the traditional health mentality (e.g. ; treat illness) is the prevailing definition of health literacy…”a patient’s ability to acquire and understand information about a condition and options once diagnosed…” Moving into the preventive era, the definition of health literacy needs to shift from being backward-looking to forward-looking. Having health knowledge ahead of time could inform behaviors to prevent, slow or lessen the development of disease. Health literacy should be a general set of knowledge for everyone to know, not related to a condition once a patient has it. A U.S. Department of Health and Human Services (HHS) study finds that only 12% of adults have proficient health literacy (p. 26); that nearly 9 out of 10 adults may lack the skills needed to manage their health and prevent disease. The biggest reason for low health literacy could be a lack of appropriately accessible and presented health information. A Pew Internet Study “The Social Life of Health Information” in June 2009 finds that 61% of U.S. adults are looking for health information online. The gap between health literacy and the demand for health information suggests that there is a substantial opportunity for a range of health information services and management tools, many of which could be fee-based such as the LIVESTRONG nutrition and exercise management program. What should be the components of a standard health literacy toolkit? Many professionals (e.g. ; physicians, academicians, etc.) believe that even HDL/LDL cholesterol information is too complicated for the lay public, but this just cannot be correct. When simple numeric information is presented clearly, people of any background and capability are often quite able to understand it and take action. For example, when utility bills started to provide straightforward quantitative data regarding power consumption, including day/night usage and costs, many people shifted their behavior in a positive informed way. 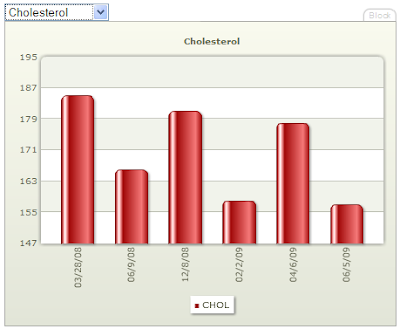 Figure 1 illustrates an example individual’s ongoing total cholesterol readings presented in a clear and informative way. Anyone inspecting the chart can easily identify the overall trend, down, which is good, wonder about the range of numeric measurements (157-185) vs. the average and how this translates into good or bad health tiers (e.g. ; under 200 is generally good, but a rising trend that is still under 200 could be an indication of arising health issues for that individual), and inquisitively wonder about the peaks. The next level of information would be HDL and LDL readings, small lipids as is now de rigueur and triglycerides, but even this simple plot of total cholesterol measures is understandable, useful and potentially actionable. It is also the perfect level of information for individuals who are interested in being responsible for self-managing their health but from an efficient, easily-actionable level that does not require deep engagement of time or knowledge acquistion. Some of the most obvious aspects to include in a health literacy toolkit would be nutritional information and its interpretation, caloric consumption and expenditure and ongoing quantitative measures of health from blood analysis and other tests (e.g. ; blood pressure, glucose, cholesterol, BMI, weight, VO2 max, etc.). The data can be summarized (with detail available) and directly linked to actionable explanatory information (e.g. ; measures may go up or down if they were not measured at the same time or situation, for example if a meal had been eaten before some but not all of the measurements). Other components of a standard health literacy toolkit could include where and how to obtain information and tools for self-tracking, how to integrate multiple data sources into a unified view, and how and what to expect when interacting with the medical community. Genomics is already part of the health literacy toolkit for early adopters and could become a standard toolkit component for everyone within five years, already helpful Genetics 101 sites are emerging. Health-self management in large quadrants of the population could accelerate with the advent of automated health monitoring tools that would capture frequent datapoints and aggregate the information into easily viewable web-based charts. Many devices such as blood pressure monitors, heart monitors and scales are now battery-intensive Bluetooth-enabled which is a nice intermediate step but what is really needed is for all of these monitoring devices to be directly on home WiFi networks. Where possible, having the monitoring applications directly on the smartphone is another obvious step rather than having separate devices. There are some WiFi-enabled devices, for example the FitBit calorimeter, which has been delayed in launching, and glucose monitors such as the GlucoMON, however its $75/month subscription fee appears exorbitant. Medically actionable now: Genetic data is medically actionable now and becoming increasing more so, particularly in routing higher-risk individuals into earlier screening. It is estimated that each individual is in the upper 5% risk tier for at least one chronic disease. New ICT era (information and communications technology): Genomic data requires a significant new level of information processing, storage and transfer. One whole human genome can range from 6GB-8TB in terms of the data currently transferred between researchers. Social inevitability: Widespread genomic sequencing appears to be inevitable which has great benefits together with social challenges such as revealing non-paternity (10-15% in the U.S.), terminal disease conditions and reproductive issues (e.g. ; recessive carrier status). For some time, physicians have been ordering any number of one-off genetic tests for specific conditions such as Cystic Fibrosis, Huntington’s Disease, breast cancer (mutations in the BRCA1 and BRCA2 genes) and other conditions. Physicians can also order any of the below tests for patients. There are differing levels of data validity depending on which chip array and methodology is used to sequence the genomic data. Illumina reports being at two 9s now (e.g. ; 99.99% error free; experiencing one error per 1,000 reads) and is hoping to move to four and then six 9s of quality. Sequencing is done at different levels of coverage ranging from 1x to 30x coverage, meaning how many times a sequence is read; 30x coverage is the most accurate and highest industry standard at present. A few people who have tried multiple DTC (direct-to-consumer) SNP chip offerings have found consistent genotyping data (e.g. ; having a ‘CT’ at a certain SNP), but different interpretations in lifetime risk probabilities as different markers are evaluated and rolled up into risk assessments across the companies. The risk of false negatives and false positives abounds. Not only do different services map different markers to meta conditions like cardiovascular disease, but the most relevant medical SNPs are often not included in DTC SNP chips, probably due to patent and cost issues. A notable example is Myriad, which owns patents on the breast cancer-related BRCA1 and BRCA2 genes. This has become the focus of a timely lawsuit brought by the ACLU regarding the patentability of natural materials such as genes and industry norms of how genes are licensed for diagnosis and therapy. Whole human genome sequencing renders the patented-gene issue moot as anyone having access to their raw data could look up their genotypes for particular SNP/rsid numbers such as those corresponding to the BRCA1 and BRCA2 genes. (Knome customers can do this now). There will be a need for interpretation tools appropriately aggregating multiple risk alleles. Fee-based or open source genomic data interpretation tools like the SNPedia’s Promethease report could proliferate. People would like to know definitively if they are going to have a disease but aside from monogenic conditions (for example, Muscular Dystrophy, Huntington’s Disease, sickle cell disease and Cystic Fibrosis), most chronic diseases are polygenic and influenced by many factors. The current genetic testing for these conditions does not deliver a simple Yes/No, but rather assesses the lifetime risk probability for an individual and whether the individual is at higher or lower risk than the average. There is ample room for risk interpretation mechanisms for polygenic conditions to become more sophisticated, right now the practice is a multiplicative technique, taking the risk value for each genotyped allele associated with the condition and multiplying them together; weighting and cluster-evaluation would be obvious refinements that research may support over time. NHGRI and other GWAS (genome-wide association studies) researchers find that genes, as they have been studied so far, only account for a small percent of explaining disease. However, studies have been preliminary, the 1,000 genomes studied may not be enough for complete understanding, for example, about 35 common diseases have been found to have widely replicated common variants. One next step targeted by the NHGRI is to look at rare variants, low-frequency (e.g. 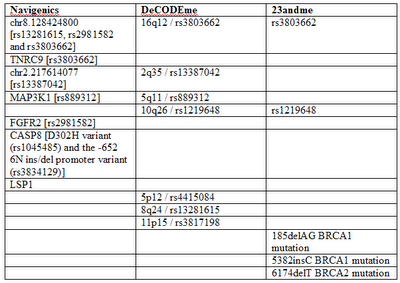 ; 1-2%) GWAS variants with intermediate penetrance, to possibly explain a larger percentage of disease causality. Simultaneously, our systemic understanding of biology is slowly improving, it seems that in many disease cases it may not be the gene or genotype, but rather the number of copies of the same gene (CNVs), translocations, inversions, and other problems with gene expression and DNA repair that are responsible for disease. Genomic technology has been moving so fast that at present, most physicians do not have genetic training. The genetics community is the primary party helping to generate, interpret, present and monitor genomic data. Over time, other communities like physicians and genetic counselors (one of the world’s fastest-growing job categories) will hopefully become helpful in interpreting data together with patients. Genetic training is a key target area of CME (continuing medical education), for example the National Coalition for Professional Education in Genetics' "Genetics Education for Health Professionals: What are the Key Messages? How do we deliver them?” (Sep 2009) and Harvard Medical School’s “What the Primary Care Provider needs to know about the Genetic Basic of Adult Medicine” (Oct 2009). That disease has a molecular basis is now undisputed and medicine is slowly shifting to reorganize around this. Presently, 1,400 genes can be tested to inform various clinical decisions, and 225 are deemed clinically significant. 100 new tests are being added annually. In some cases, medical information exists but is not being used, for example a straightforward marker for poor drug metabolizers, CYP2D6. About 10% of Caucasians are poor metabolizers however this is not routinely tested for ahead of time (nor in the DTC SNP chip tests mentioned above) and the same drugs are given to all patients in a trial and error process, sometimes in lower doses (e.g. ; warfarin) due to fear of overdosing those for whom it could be harmful. Another example of medical relevancy in genomic testing is the NHGRI’s GWAS study finding of the first nine genetic risk variants for type 2 diabetes: TCF7L2, IGF2BP2, CDKN2A/B, FTO, CDKAL1, KCNJ11, HHEX/IDE, SLC30A8 and PPARG; particularly the first one, TCF7L2. Higher-risk individuals identified early in life could receive targeted healthcare. So far, general genomic testing suggests that on average, each patient is in the upper 5% risk tier for at least one chronic disease (e.g. ; cancer, cardiovascular disease, myocardial infarction, etc.) and that there is value in understanding genomic risk factors earlier in life. Whole human genome sequencing automatically at birth could mean a lifetime of personally relevant healthcare. Although genomic tests do not predict polygenic disease definitively, they are medically actionably in taking conventional risk percentages (e.g. ; American female lifetime breast cancer risk = 12%; American male lifetime prostate cancer risk = 16%) and layering on the specific genetic risk of the individual to route higher-risk individuals to screening and therapeutics earlier. Several researchers estimate that the earlier identification of higher risk patients could reduce overall healthcare costs by about ~$100,000 per person per condition. Although there is no known cure for Alzheimer’s Disease, and even a firm diagnosis can only be made at autopsy, Boston University’s REVEAL study has shown that people do change their behavior after receiving a positive diagnosis for Alzheimer’s Disease (mainly through purchasing supplements and some increase in exercise). It is also known that mid-life cholesterol levels correlate with Alzheimer’s Disease, so the highly actionable behavior for someone with an APO E4 positive allele could be more closely managing cholesterol intake. The role of family history is another important component of disease prevention, diagnosis and management, and there are starting to be helpful web-based tools for consumers to assemble, manage and access family history data such as My Family Health Portrait. Technology advance has been the key enabler of the genomics revolution. The first genome sequencing project, completed in 2003 cost $3b. Now, the cost of genetic sequencing is dropping to the point where a $100 whole human genome may be available in the next few years, in 2010 according to Pacific Biosciences. There are several next-gen sequencing platforms in process now to supercede the current array-based method. Next-gen genomic sequencing platforms are generally falling into two categories, those using synthesis (specifically multiplex cyclic sequencing by synthesis) and those not using synthesis. Some of the most interesting next-gen companies using synthesis are Pacific Biosciences, Ion Torrent Systems and RainDance Technologies. Some of the most exciting non-synthesis-based next-gen sequencing companies are Oxford Nanopore Technologies, and NABsys and Halcyon. NABsys and Halcyon are electromagnetically-based rather than optically-based which means they are not dependent on light or fluorescence so the cameras can go much faster, perhaps 10,000 frames per second. Harvard Medical School maintains a nice overview of current and emerging gene sequencing technologies. In addition to improving the cost and speed of existing genomic scanning, sequencing advances could open up the way to the eventual characterization of the whole cell and its interactions through the sequencing of the transcriptome, the proteome, the metabolome, the microbiome and other biological features. In the farther future, histone modification sequencing, DNA methylation, acetylation and phosphorylation are other characterization processes of interest that could be included. The biggest challenge consuming national genomic research labs at present is data processing and network communications. Genomic data is growing at 10x per year (vs. Moore’s Law growing at 1.5x per year). Research labs have problems with data storage, mapping and access, together with intra-site data transfer and external transfer. Shipping terabyte drives via fedex is the best current data transfer method, and at least one lab finds resequencing data cheaper than storing it. The raw data of the 6b base pair whole human genome is 6GB, not challenging to store, but challenging to work with, it is not like just opening up and manipulating a word document. New data processing algorithms will need to be developed to interact with whole genome data, link it to reference tools and make it searchable and meaningful. Whole businesses can be formed to focus on genomic data curation alone (a second wind for Google?). Even though the most basic raw data version of the whole human genome is 6GB, the full collection of files in use by researchers for one whole human genome may reach 8TB. The full works may include an intensity file, a BAN file (binary), a SAN file (searchable) and other files with coordinates, variations and other aspects. Part of the challenge is that appropriate data abstractions from the raw sequencing output are not yet known so all the data is kept. There is not yet a good reference model. Apparently, the Archeron X-Prize for genomics (sequencing 100 human genomes within 10 days or less at a maximum cost of $10,000 per genome) remains outstanding not because it cannot be done, but because the results cannot be recapitulated. One genetic issue is non-paternity (studies suggest 10-15% is the ongoing rate of non-paternity in the U.S.). In the era of whole human genome sequencing, paternity would be quite easy to trace. One possible impact is that the divorce rate could increase and single mothers could be stratified into lower economic tiers. Another genetic issue is that of a person’s right not to know about their medical situation. With improving remedies, the right not to know becomes a lot less important. Also it may be quite straightforward for practitioners to deliver healthcare without breaching the patient’s right not to know their genetic information as they do currently. With more actionable treatments, it could become the social norm to know your genetic profile, to learn about potential conditions and work collaboratively with others with similar conditions in attempts to mobilize long-tail medicine, as PatientsLikeMe health social network participants are doing to run their own clinical trials. GINA, the Genetic Information Nondiscrimination Act of 2008, protects U.S. citizens from discrimination by employers and insurance companies. It is a step in the right direction, but many are not reassured. The law has some holes, such as not covering long-term care providers, and will have to be strengthened via interpretation as real-life cases arise. In an age of inexpensive genomic testing, the on-demand testing of other people (such as a prospective mate, business partner, supervisor or tenant), as portrayed in the movie Gattaca, could easily occur; one such example provided decisive evidence in a recent divorce case. DNA privacy would become impossible as a practical matter. DNA privacy would become impossible as a practical matter. However, precisely because everyone would be subject to genetic openness and since the present world is not one of scarcity and control as the dystopian Gattaca, it may be that DNA testing and knowledge would not be a substantive issue. Already, several individuals in support of hastened scientific advance and open medicine have open-sourced their genomic data on the SNPedia or via the Personal Genome Project. Personalized genetic testing, counseling, supplements and other action programs and remedies, for example, Inherent Health’s Weight Management, Heart Health and other tests, and the APO E Gene Diet. As our molecular understanding of disease progresses and genomic testing continues to decrease in cost and become increasingly medically relevant, adoption could become extremely widespread almost overnight. Physicians could start to see the additive, precise information conferred by genomic testing as a means of improving the care they now deliver, finding themselves initially encouraged and eventually forced into the genomic revolution. Pharmaceutical companies could start to use genomic testing and pharmacogenomics as a means of improving efficacy in drug discovery and delivery, providing some much-needed assistance to their ailing cost models. Consumers could be radically empowered to become curious about and responsible for self-managing their health with automated easy-to-use tools. Genomics as an enhanced approach to healthcare could transform the quality of life worldwide for all humanity. That aging is understandable and solvable, not necessarily immediately but ultimately, was one topic not seeing a lot of opposition at the American Aging Association (AGE) conference in Phoenix AZ May 29 – June 1, 2009. Key research highlights are below. Aging is a key contemporary concern, on the order of climate change, as all countries worldwide have populations increasingly stratified towards aging. Aging is not just a medical condition but a key challenge to be resolved for advanced societies to be successful in the long-term. Productivity, healthcare costs and happiness and comfort could all be improved with advances in the remedy of aging. Aging has advanced from a nebulous concept to concrete mechanisms that can be understood and managed. Thematically, most of the bioparts impacted in aging (cells, genes, proteins, neurons, etc.) seem to still be present in older organisms, just not functioning the way they did when the organisms were younger, suggesting that it may be possible to manage and reverse aging processes, and confirming the systemic nature of aging including, for example, the role of a healthy microenvironment and cell-cell signaling. Reductionism as an approach has proved unsuccessful. Aging is a multidisciplinary phenomenon, involving different deterioration processes in different tissues over time. Aging involves a variety of fields (immunology, cancer, regenerative medicine, cognition, micronutrients, etc.) and a variety of levels of research species (C. elegans (worms), Drosophila (flies), mice, rats and humans). At AGE, the organizational structure was a focus on systems pathways, particularly signaling and hormones, together with a look at the role of proteins in aging. AGE was an excellent place to obtain a broad and deep comprehension of how aging works. The systemic rigor required to characterize the process-intensive nature of aging has been making significant progress, with a much more detailed understanding of the complex nested multifactor pathways now existing as compared with that of even a few years ago. It is clear that the painstaking characterization work could be further improved with automation and quantitative tools, especially for example, digital linkage of aging pathways across organisms. As with other life sciences areas, the potential widespread quick and cheap availability of the sequencing of genomes, proteomes, etc. is likely to dramatically change how the science of aging is conducted, though not guarantee quick solutions. As pathways continue to be confirmed, they can be digitized into software and nearly indefinite simulated iterations could be run before conducting time-consuming and expensive bench experiments in confirmation. Many interventions work for extending the lifespans and healthspans of lower order organisms, for example knocking out any one of 200 known genes may extend the lifespan of the C. elegans worm but the specifics and replicability of the mechanisms in higher order organisms are not known. It does not make sense to directly translate point solutions up to mammals given the systemic nature of the organisms and aging processes. Even moving one biomarker for alcohol consumption from monkeys to humans is not direct. Cognitive function: Find that neurogenesis is possible in aged organisms with exercise followed by cognitive stimulation (e.g. ; tackling a puzzle or challenge); organisms can benefit by building up a larger reservoir of brain cells earlier in life by being exposed to a variety of external stimulation. (Gerd Kempermann) This author’s speculation: Perhaps neurogenesis could be further harnessed for brain enhancement beyond currently realizable human capacities as this mechanism is better understood. Cost of reproduction: Find that ovary removal in grasshoppers resulted in a 25% increased lifespan, contributing to existing evidence regarding the high cost of reproduction. (John Hatle) This author’s speculation: In the farther future, in humans, it could be quite desirable to closely manage fertility, turning it on and off at will, if fertility is even necessary. Aging is a key contemporary issue. Research is advancing both incrementally and radically in every area of aging. The highest immediate impact could come from working on aging problems upstream at important fulcrum points that impact everything below them, such as genetics, epigenetics and the immune function. The research is progressing and it is starting to be time for VCs, big pharma and DIYbio’ers to take advantage of the many interesting and actionable possibilities.